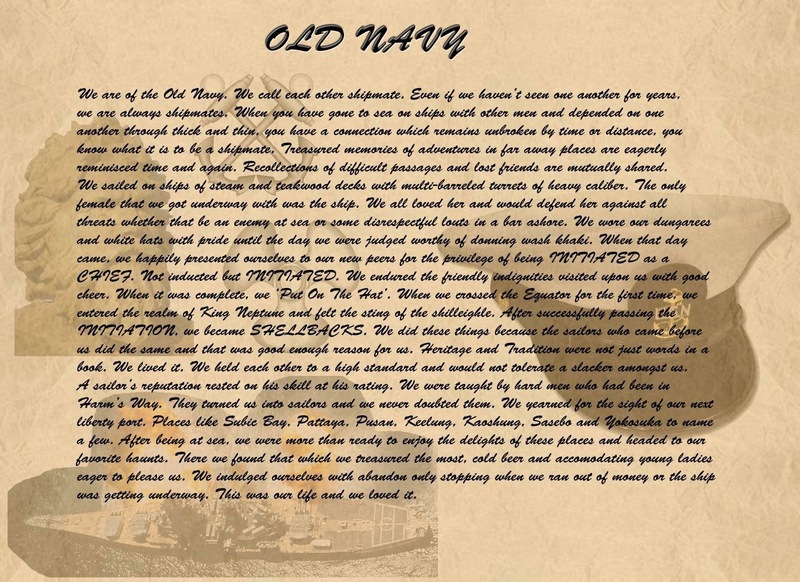 On this page you'll find links to items about CPO history and traditions, CPO anecdotes, information about CPOs, a few links to other sites about CPOs and a items you can download. 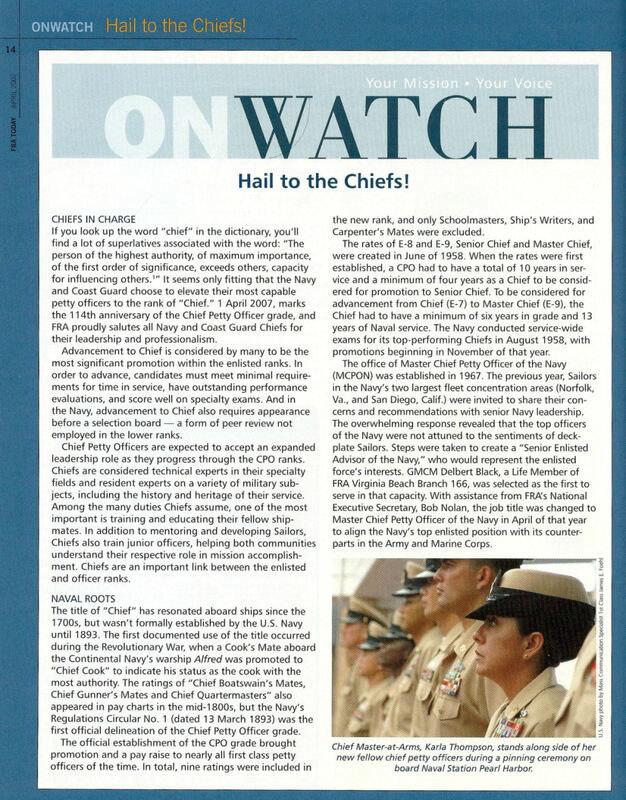 CPO History and Traditions cover the gamut from changing to the khaki hat from the white hat to guidance for a CPO dining in, a custom unique to the military. CPO Anecdotes vary from poems, to articles, to short stories about CPOs or for CPOs. Some are humorous while others are very serious. 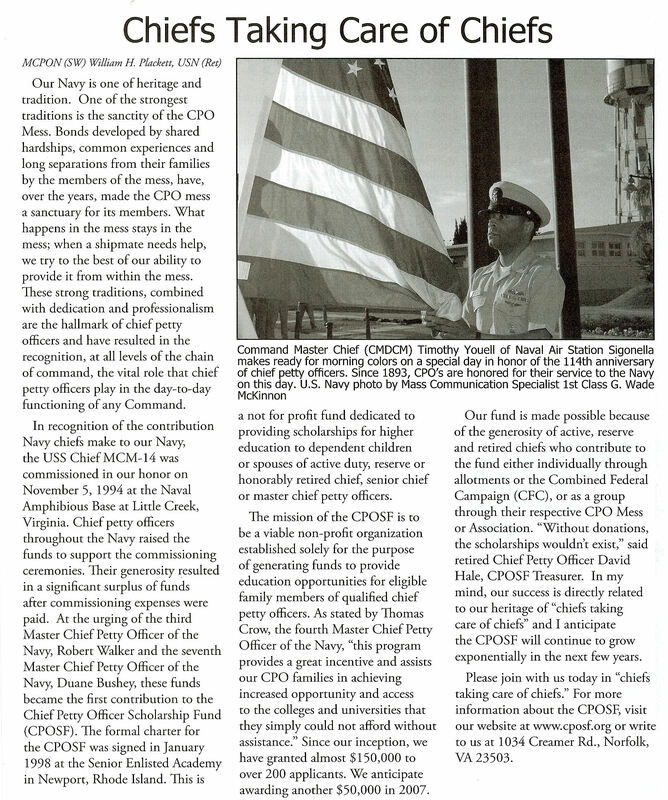 About CPOs is a section of links to information about senior leaders of the CPO communities, articles written about CPOs, articles written by CPOs and other short sections about the values of CPOs. Downloads is section that has links to a screensaver, graphics for CPOs, a CPO skin for ICQ plus and a program that has computer sound bells on the half hour and hour. All are in the public domain for your use but may not be sold. 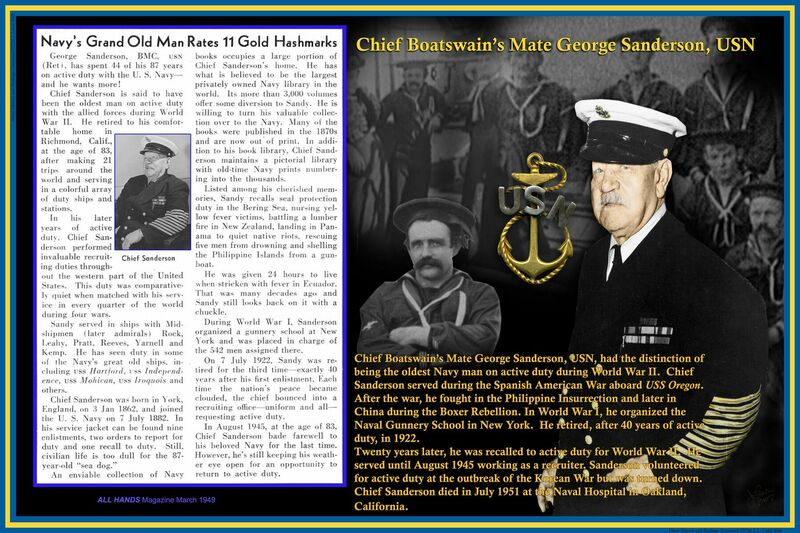 11 Gold Hashmarks - BMC George Sanderson USN Ret. CEREMONIAL CPO CUTLASS IS APPROVED FOR OPTIONAL WEAR. 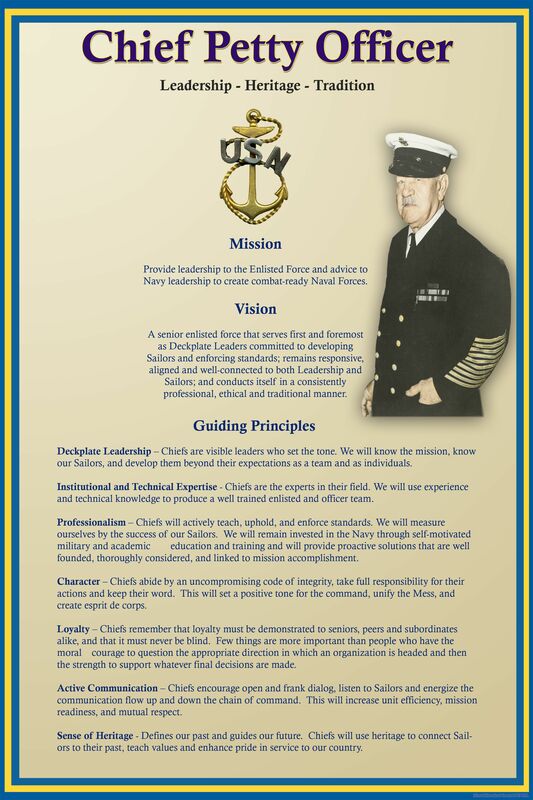 MCPON Reflects on 115 Years of Deckplate Leadership. 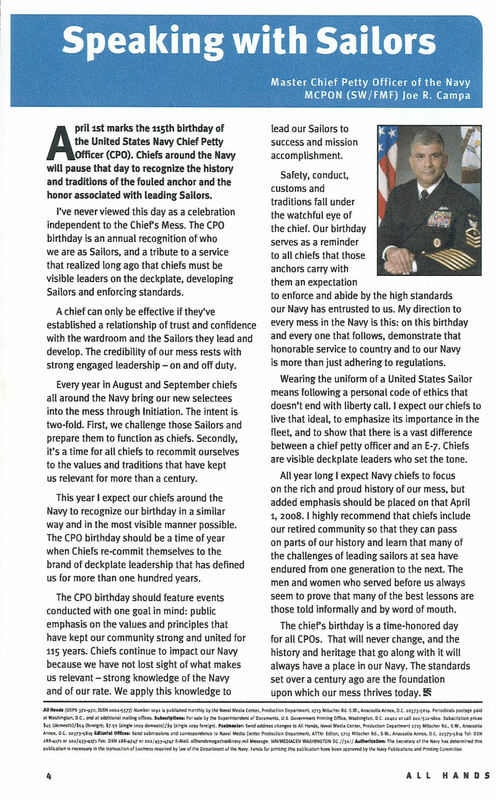 MCPON Navy Times Article on the 115th CPO Birthday. 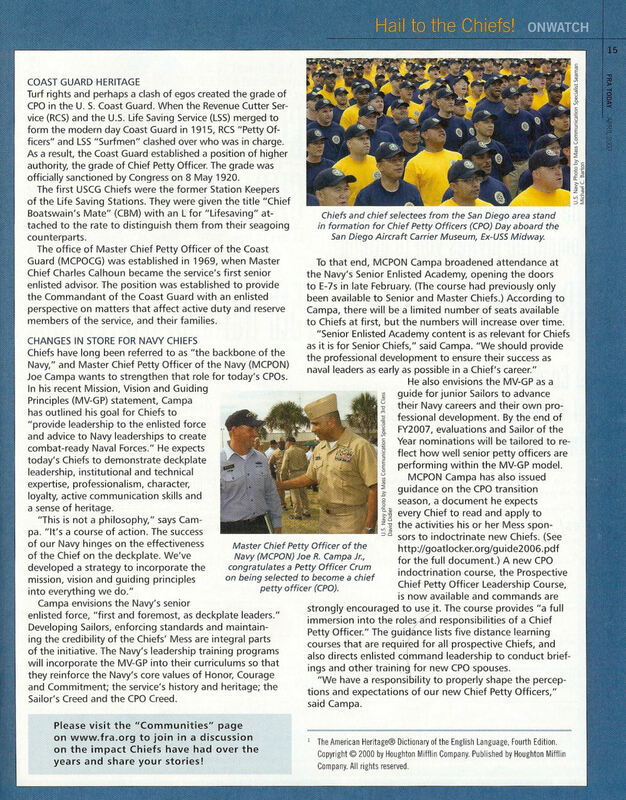 MCPON Navy Times Article on First Class Leaders. 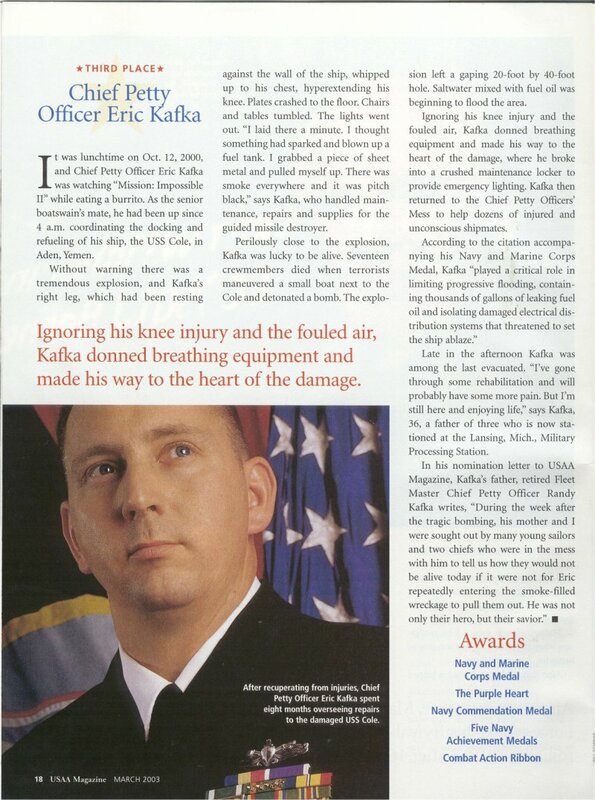 MCPON's expectations of the First Class Petty Officer. 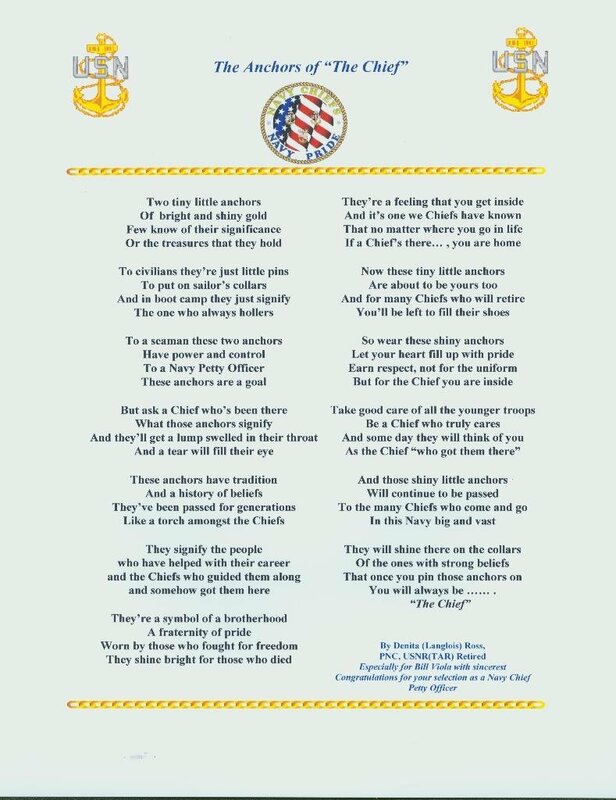 Are you a Chief or an E-7? 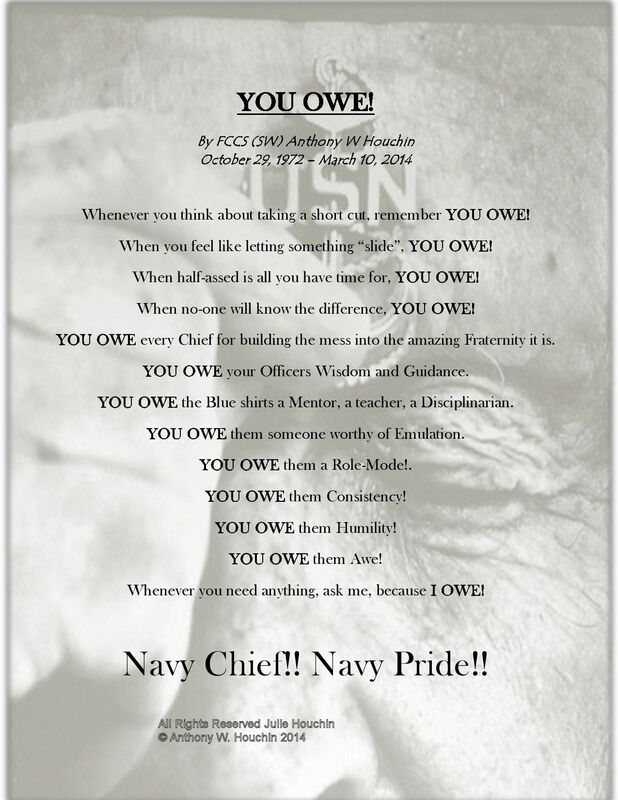 What is a Chief Petty Officer? CPO's at Work A	collection of links to pictures about CPOs performing their duties. CPOA at Fort Meade donates $7,225. Ask the Chief Article in Proceedings. USS CONSTITUTION hosts FY2004 CPO selectees. 25-26 JUNE 2001 WORLDWIDE CMC CONFERENCE notes.